The Palad Khik Ling Jab Hlak Phallic Amulet with hand carved Himapant Forest Vanora Monkey holding the shaft of the Lingam, is an Iconic and world famous amulet of the Great Luang Por Glan, of Wat Intarawat, in Ang Tong Province. The Palad Khik Ling Jab Hlak of Luang Por Glan, is a result of the Wicha which Luang Por Glan received from his Kroo Ba Ajarn, Luang Por Ding (Wat Bang Wua), and Luang Por Ee of Wat Sattaheeb. Luang Por Glan mastered the Wicha Ling Jab Hlak from Luang Por Ding, who was a Great Master of the Wicha, and whose Vanora Monkey amulets are so highly sought after. When the the Palad Khik Ling Jab Hlak arises in conversation, one can always be sure to hear the names of Luang Por Ding, and Luang Por Glan mentioned first and foremost, above all, and Luang Por Lae. As to general Wicha Palad Khik (without Vanora Monkey), one should mention Luang Por Yid and Luang Por Ee, Luang Por Iam and Luang Por Kong. As to Wicha Hanuman in carved amulets that are not Palad Khik, one must also mention the great Luang Por Sun. 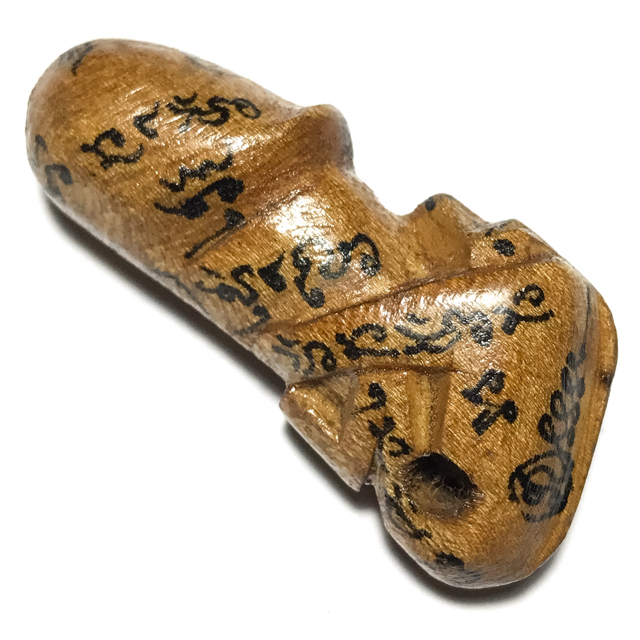 This Palad measures 3.5 Cm and is hand carved from a piece of Sacred tree wood, with hand inscriptions of Khom Agkhara Sanskrit Spells. The Palad Khik of Luang Por Glan were mostly carved from wood taken from a Sacred Tree believed to be inhabited by a powerful Prai Deva spirit. Luang Por Glan also made other carved wooden animist charms such as the Nok Kum, Hanuman, Nang Kwak Hua Palad, Choo Chok Hua Palad, and other images. Luang Por Glan is considered one of the Great Masters of the Ang Tong Province, whoe Palad Khik are amongst the most highly preferred. Luang Por made them mostly by his own hand, throughout all eras of his trajectory. His early Palad Khik were mostly hand inscribed with a Hlek Jarn metallic inscription instrument, and some were filled with some Muan Sarn Sacred Powders in the base or the head. Some were also made with a Takrut inserted. His later era Palad Khik were more often hand carved and inscribed in ink. He made Palad Khik in small medium and large Bucha sizes, in a multitude of forms, all of which are inimitably carved in their own certain style and fashion, and are highly unusual and original in their appearance. The Ling Jab Hlak Vanora is empowered through the Wicha Hanuman Jab Hlak, containing all the powers attributed to this Wicha, including Klaew Klaad, Kong Grapan Chadtri, Metta Maha Niyom. 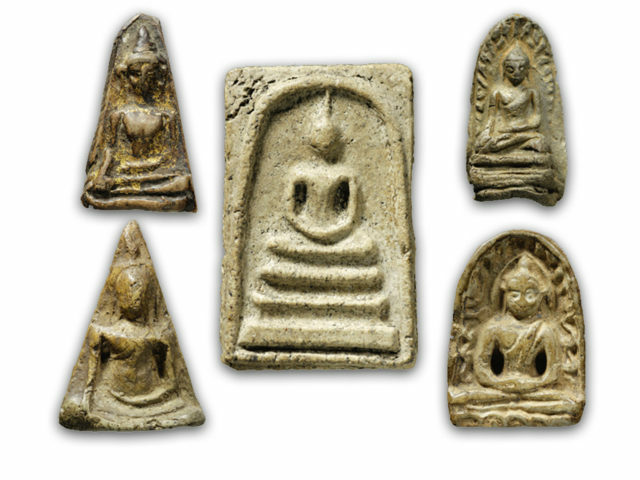 Luang Por Glan's amulets are known for their powerful Metta Maha Niyom Mercy Charm, Kaa Khaay for good business, and Maha Lap Magic for Lucky Fortunes and Gambling Windfalls. Luang Por Glan passed away in the year 2520 BE. Palad Khik are made in all sizes, ranging from miniature ones the size of your little finger, right up to ones which are higher than a human. Palad Khik are extremely popular with Thai people, worn as amulets tied to a 'Chueak Takrut Kart Aew' cord around their waist. belief in the Lingam, or 'Lingk' (Thai pronunciation) phallic energy, is derived from the Brahman influence which has been inflected on Thai Theravada Buddhism since both belief systems came to Siam more than one or two thousand years ago. It is believed that the Lingam energy is the source of all life forms in the Universe. This is the root of the act of reverence (Bucha/Poojah) to the Shiva Lingam , which honors Shiva as the Lord of the World. 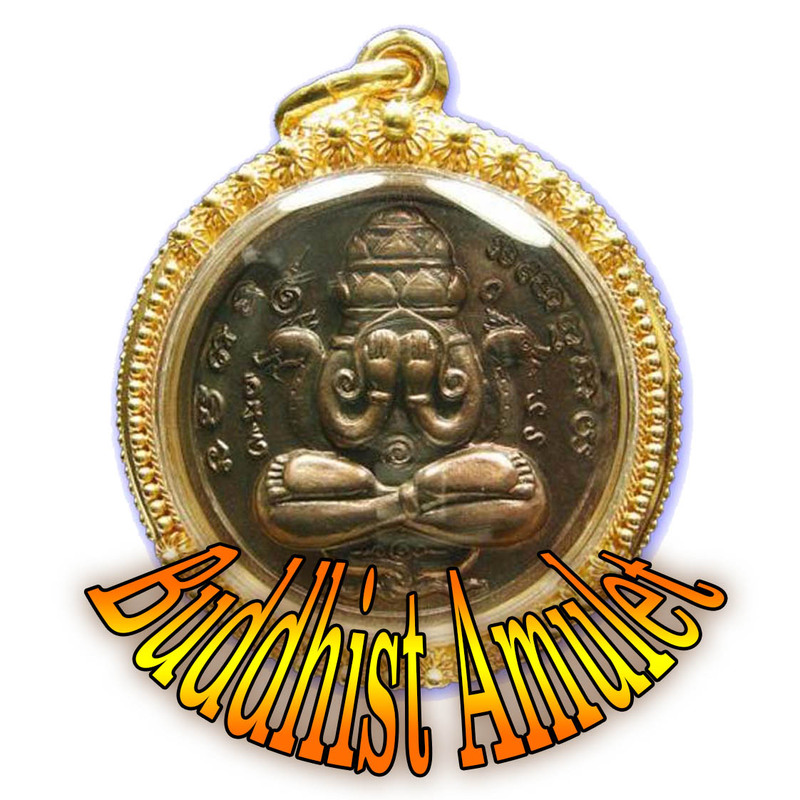 Brahmanism is a living part of Thai Buddhist ceremonial practice, and the revering of Deities from the Brahman Hinduistic Pantheon is commonplace. Ja Pa Ga Sa Na Mo Put Taa Ya Gan Ha Nae Ha Na Ma Pa Ta Om Siwaling Sabbha Metta Sabbha Pokaa Sabbha Laapo Sabbha Tanaa, Sabbha Yasa, Sabbha Pranee Sabbha Mangalaani Bhavantume.